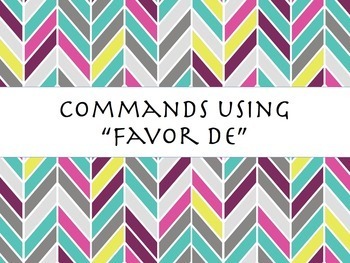 This fun PowerPoint Slideshow Presentation will have your students making polite commands in Spanish using "favor de." 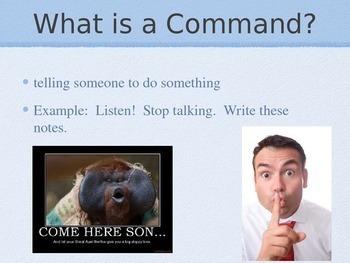 This slideshow is fun instead of wordy and boring. 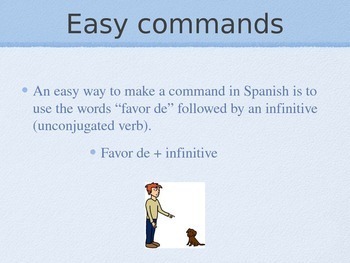 It breaks this command down to a very basic level that anyone can understand. Fun graphics keep students' attention. A Checking for Understanding section and brief activity are included with this slideshow. Enjoy! 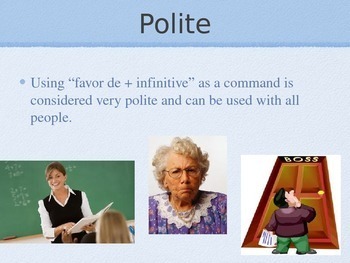 Spanish Favor De Polite Commands PowerPoint Slideshow Presentation by Amanda Davis is licensed under a Creative Commons Attribution-NonCommercial-NoDerivs 3.0 Unported License.